One of the phrases I use often with my children is "have an attitude of gratitude." I want my children to understand the concept and importance of thankfulness. We are blessed on so many levels in our household. Sometimes it's hard for kids to keep that in mind when mom or dad may say "no" to the newest Lego set or an expensive pair of jeans. This project is a perfect way to allow them to pause for a few moments each day to really think about all that we have to be thankful for. 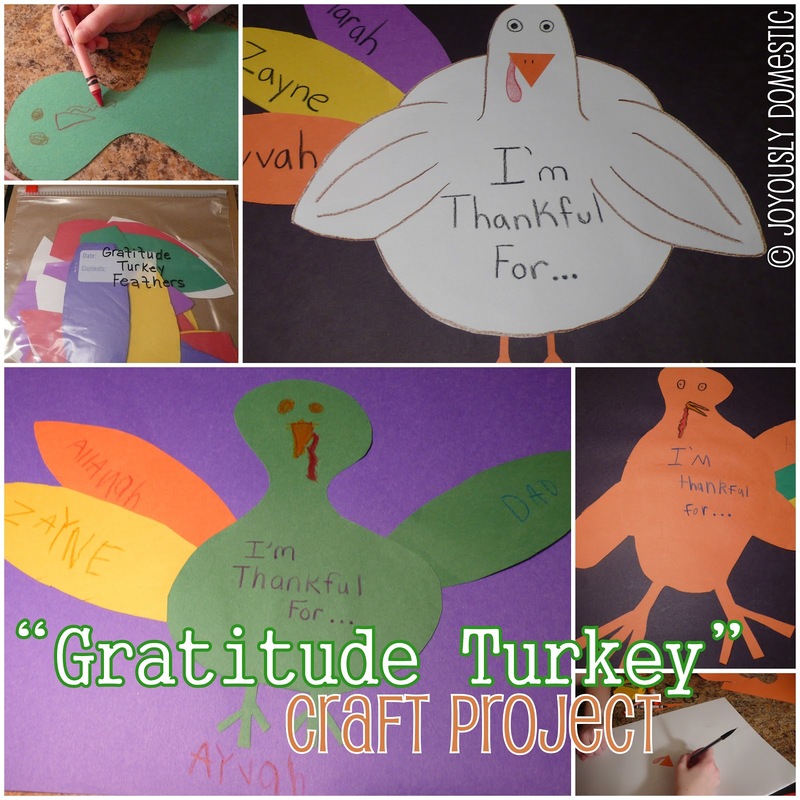 The month of November seemed like a wonderful time to really incorporate a project like this into the lesson of what Thanksgiving is all about! The idea is to draw and cut out the body of a turkey on a large piece of paper. Glue or tape it to a poster board or larger piece of paper and then, cut out a bunch of feathers from card stock or construction paper. Each day during the month leading up to Thanksgiving, have your child think of something they are thankful for and write it on a feather to be added to the turkey. By the time Thanksgiving rolls around, they will have created a beautiful turkey art project. 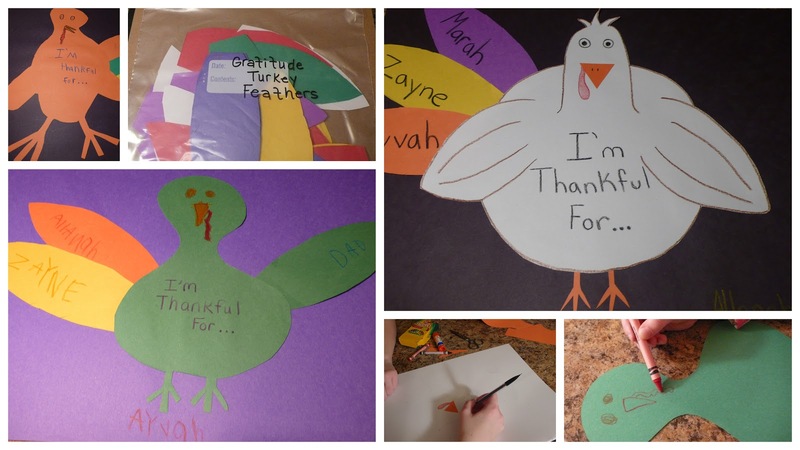 My plan is to have my children show off their turkeys to our family during our Thanksgiving dinner and read through the things that they have written on the feathers. I picked up a pack of extra-large construction paper for under two dollars at Wal-Mart. We already had crayons, glue and scissors at home. Each child sketched out a turkey body, drew on a face and cut the whole thing out. We glued each one to a large piece of paper, wrote their names on it and put it up on the wall with that removable putty stuff that is used for posters. We are all excited to see their turkeys "bulk up" with each new daily feather! Jackie asked to do this last night, so we started it today. Thanks for all the great ideas.